I know that I kvetch a lot about the Bvlgari Omnia flankers. One of my favorite designer perfumes was the original Omnia. Throughout the years, the brand has kept making flankers and got rid of the original! That’s like having a successful pop band go on tour without ANY of its original members! But, when I think of Omnia as a subcollection of Bvlgari perfumes, I have no complaints. Overall, I enjoy all of the Omnias. They’re easy-to-wear, reliable and inoffensive. I know for a lot of people that are really into perfume, these are words that may induce eye rolling. I get it. I too like the bolder stuff, the edgier stuff, the more creative stuff. But, I also like to smell good. I like things I don’t have to “think about”. 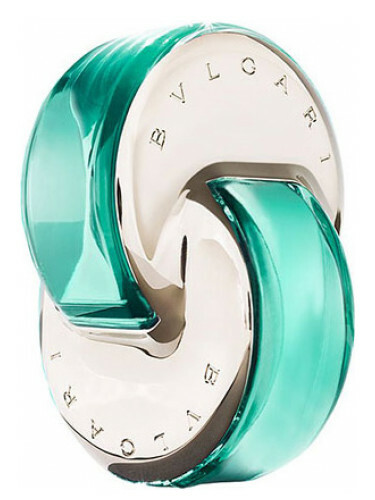 Bvlgari Omnia perfumes are the sort of perfumes I wear when I just want to smell good but not have to think about what I’m wearing. Sometimes you want your perfume to be like an accessory instead of an experience. Omnia Pariaba is inspired by Brazilian tourmaline so I expected some stereotypical “Brazilian” notes (AKA tropical fruits). Pariaba sort of smells shampoo-y but I don’t think that is necessarily a bad thing. It opens as non-descript tropical fruits and something that smells like gardenia soap. I wouldn’t necessarily call Pariaba an aquatic but it’s a watery, ozonic fragrance. It wears like gardenia and passionfruit taking a warm shower together. The dry-down doesn’t smell as heavy as the note list would lead you to believe. It’s a sheer white musk, that modern vetiver that is in everything (like Atelier Colognes) and something sort of nutty. I’ve worn this perfume a few times. Like the other Omnia perfumes, I tend to forget I’m wearing it. I’ll catch a whiff of it and I’ve had two thoughts. A. My shampoo/conditioner/hair products smell amazing. What did I use? B. Did I put on Prescriptives Calyx? Do I even have a bottle of Calyx anymore? Neither thought reflect reality. It’s really just Omnia Pariaba. It’s a light, sheer, clean (tropical) fruity-(white) floral. In a way, it’s like a more modern Calyx. But, it’s also very clean/fresh and suited for that stereotypical American perfume palette since it is borderline fancy soap/shower gel/shampoo. I should hate something like this but I don’t. The Bvlgari Omnia style is cohesive and surprisingly sophisticated. After all, this is a fancy jewelry brand with (no offense) super safe, classic designs. These perfumes really are an extension of their aesthetic. Give Omnia Paraiba a try if you like fruity-florals. Or perfumes like Keiko Mecheri Passiflora, Presciptives/Clinique Calayx, Maitre Parfumeur et Gantier Fraiche Passiflora, A Dozen Roses Electron and/or The Body Shop Juba. I could also someone liking this if they like the style of the Hermès Jardin series. I totally see Omnia Paraiba being a real joy to wear in warm weather/warmer climates. Projection is below average (or I’m anosmic to something in this) and longevity is average. Omnia Paraiba comes in a few sizes with the 1.35 oz retailing for $68 at Sephora. It can sometimes be found at online discounters like Perfume.com. Victoria’s Final EauPINION – Tropical fruits and gardenia. I like this more than I should, but I tend to like the Omnia aesthetic (but I still stan for the original). This is one, like the other Omnia flankers, that if someone were to give it to me, I’d wear it. If I found it for a great deal, I’d buy it. I’m boring, so what? *Sample obtained by me. Product pic from Fragrantica. Carmen Miranda pic from www.fanpix.net. Post contains affiliate links. Thanks! I have a bottle of this and like it, too! Crystalline is my fave flanker to this date though, mainly because of the effect it has on others. I love Crystalline too. It wears so well. I’ve decided that since these are still at discounters, that I want a little jewel-like line-up of Omnias. I like them all and I need more “easy wearing” perfumes in my life.